Here's how to get the Logies jewellery looks for less. Shhh! 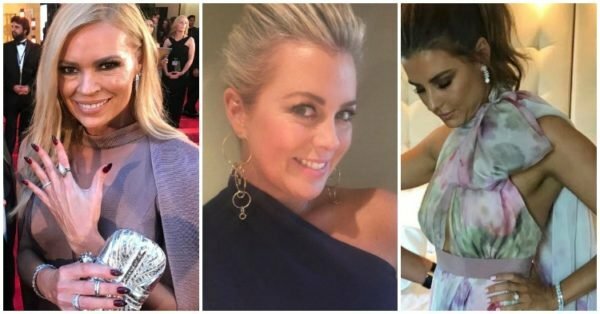 Here's how to get the Logies jewellery looks for less. On Sunday afternoon, I found myself glued to my phone while hitting refresh every couple of seconds on my Instagram feed. There’s nothing I love more than checking out what our local Aussie celebrities are wearing on the Logies red carpet and I fawn over everything from hair, to makeup, dresses and shoes. Yet my favourite part is without a doubt, zooming in on their jewellery. At the Logies, celebs are always dripping in jewellery. Earrings, bracelets, rings and necklaces, you name it and they’re wearing it by the bucket load. I always find myself wishing I could do the same looks myself but I don’t have a kitty of cash or a sponsorship from a jewellery designer to make this happen. But I’ve found a way to get my hands on those sought after pieces without compromising on quality and saving myself some cash in the process. How, I hear you ask? Cash Converters Webshop. And there are three easy ways to shop. You can either buy online and have your jewellery delivered, click and collect, or see it online and buy in store. The benefit of this is you can browse your local store online, then you’re able to try it on in store before you buy it. If anyone is an expert in mixing and matching, it&apos;s Sonia Kruger. All of her Logies jewellery is frosted in diamonds (of course) and ties in perfectly together with the wrap around effect of her rings and bracelet. All of her pieces are sophisticated with a touch of edge. And if you&apos;re looking for a similar look you&apos;re in luck, because at Cash Converters Webshop you can spoil yourself with a range of gold diamond rings that look just like it. Score. You can&apos;t go wrong with a classic gold hoop, and Sam Armytage&apos;s earrings are a perfect take on the staple jewellery item. My favourite trend was the gold hoop earrings that give you that chic evening look you&apos;re after. Cash Converters Webshop offers an array of hoop earrings and if you&apos;re a bit creative, why not try looping on the earrings and creating your own chandelier? It&apos;s both versatile and one of a kind. Win win. Lauren Phillips&apos; Logies jewellery is classic with a pop of fun colour added to accentuate the gorgeous floral design of her dress. If you&apos;re after coloured jewellery to give your outfit a bit of fun and sass, Cash Converters Webshop have you covered. I’d suggest mixing white gold with pink diamonds or sapphires together to give you that combination of white gold and pink stone detail just like Lauren Phillips. You can&apos;t go wrong with a string of white pearls and some drop earrings to match - and Tina Arena knows this all too well. Paired with her black outfit, this really puts her jewellery on show and at the front and centre of her look. Cash Converters Webshop offers an array of pearl necklaces that you can layer together to create a look that is truly your own. You could even get an extra long necklace and wrap it around twice to get the same effect. Delta Goodrem&apos;s look reminds me of a high-fashion bohemian goddess. She&apos;s taken the fun and beauty of gemstones and multiplied it by a thousand for the Logies red carpet. I am loving coloured stones lately. especially when it comes to earrings and rings. The wide range from Cash Converters Webshop will add that final touch you need to make your outfit that extra bit special. Finish the look off with a stack of bangles and you&apos;re practically Delta Goodrem. When you have a dress with so much incredible detailing like that of Sam Harris&apos;, you only need to add a touch of jewellery to tie the whole look together. And Sam Harris&apos; elegant diamond stud earrings do just that. They add a bit of glamour without going over the top. Cash Converters Webshop offers limitless options for the perfect diamond stud. And the best part is you don&apos;t need to be on a red carpet or at a fancy event to enjoy them, you can wear them all year round. Now that&apos;s real bang for your buck. What was your favourite look from the Logies? This content was created with thanks to our brand partner Cash Converters.